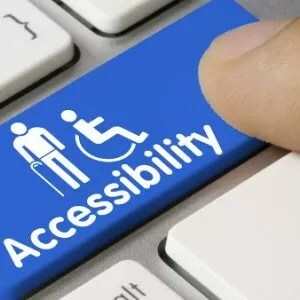 The Accessibility for Ontarians with Disabilities Act (AODA) aims to remove any boundaries or restrictions faced by those with a disability, with the goal to make Ontario accessible to all by the year 2025. 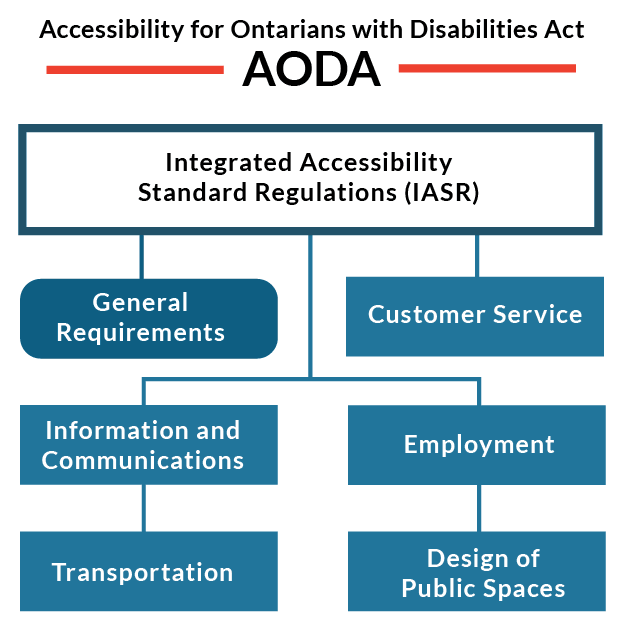 In 2015, the AODA standards became law and by 2025, all organisations must comply with this set of new guidelines. Does the AODA apply to me? ­If you can answer yes to any of the following then the AODA applies to you. Do you provide goods, services, or facilities? Do you own a building or premise which is used by others? Do you employ any people from Ontario? Highly visual fire alarms need to be visible in all public access corridors and all smoke alarms in residential settings need to be visible. Elevators or otherwise barrier-free access should be provided between stories in all buildings. Power door operators or automatic doors to be provided at a wide range of buildings. Barrier-free access to public swimming pools, spas and other such locations. Accessible and adaptable seating spaces in public places like theatres, town halls and places of worship. Barrier-free washrooms and toilet facilities. While there are already guidelines in place to provide accessible areas for people with disabilities, there are now amended requirements that you have to meet to adhere to the new AODA standards. 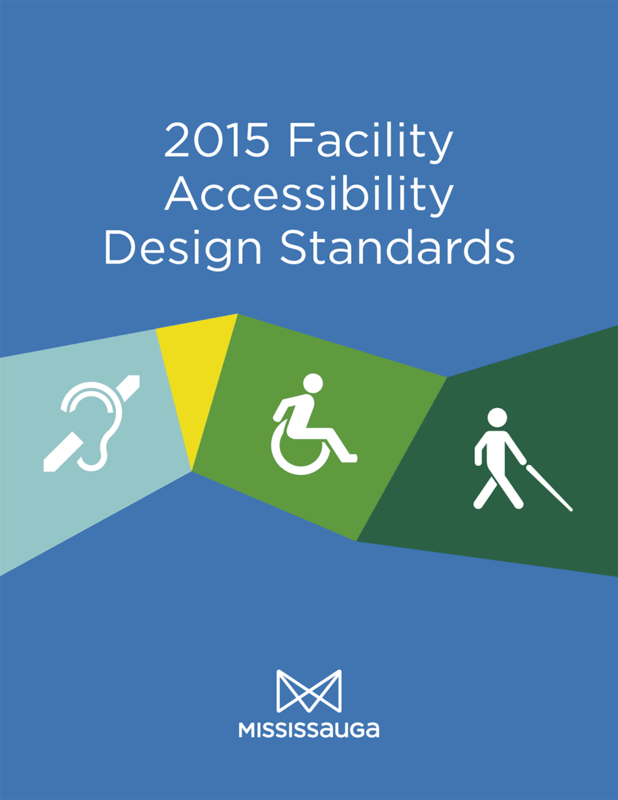 These new guidelines are designed to further enhance accessibility and meet new dimensions needed to accommodate people with disabilities. What does barrier-free washrooms mean? One of the main standards that the AODA now require in public buildings is that there must be one universal washroom for every three floors and one universal washroom in all single story buildings. These can be placed in the most suitable locations in these buildings and generally the building contractor will be able to tell you where you should place them. A universal washroom is an enclosed space with a barrier free toilet, sink and turning space so that a wheeled mobility device may be accommodated. These washrooms aim to provide privacy and dignity for people with a disability, including those who require an assistant. They are not only for people with a disability as families with small children can also make use of them – giving parents a space for sorting out many young children at once. As well as the adapted toilet and sink facilities, an adult change table will also have to be provided in all washrooms located in buildings over 300 square metres. All of these washroom will also have to have a power operated door leading into them, either automatic or button activated. Washrooms should be situated on a barrier free path of travel and make sure this path meets requirements with regards to turning space, doorway and corridor widths, grab bars and signage. Power operated doors to be available at all entrances to the washrooms. Mounting height for towel dispensers, hand dispensers, sinks and soaps so that they may be accessed by anyone. Grab bars designed to fold up or down so that people may use them on either side of the room. An l-shaped grab bar so that people may use these to sit up and down. Clear floor area of a large enough size that people I wheeled mobility devices can turn around well. I already own a building. Do I have to follow these new guidelines? This all depends on the size of the building you own or what your future plans are for the building you own or manage. New buildings must be built with these requirements in mind and the blueprints and design will reflect this. If you own or manage a building which are currently planning extensive renovations then you will need to take into consideration these new standards. An extensive renovation is considered anything more than 300 square feet. If the building is not undergoing any renovations, or if the renovations are under 300 square feet then you shouldn’t worry about adhering to these guidelines just yet. Why should I worry about AODA? 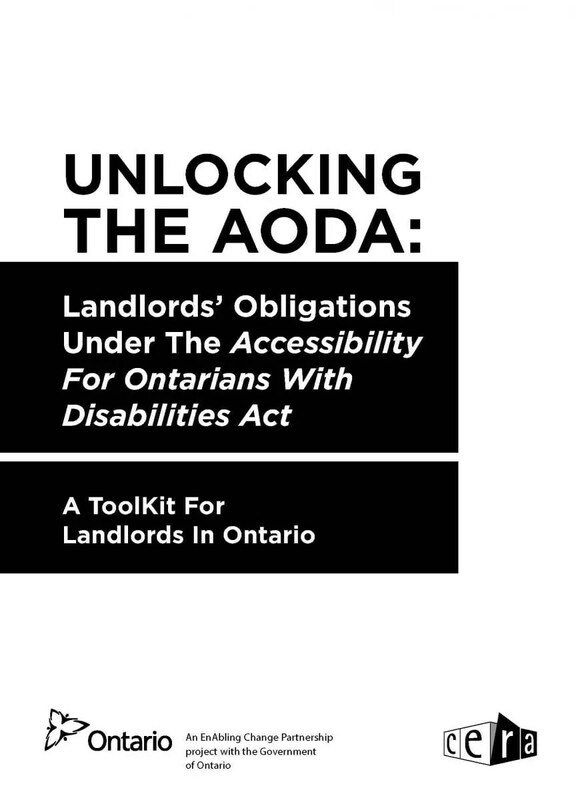 The AODA is important to all Ontarians as many people think of a disability as someone with an obvious physical impairment such as wheelchair users. But the truth is disabilities affect far more people and a far wider reaching than that. Disabilities can also include visual impairments, hearing difficulties, learning or developmental difficulties and of course, mental health disabilities. The fact that disabilities affect many more people than is realized means that the AODA should be a high priority for all Ontarians, as everyone is likely to at least know someone with a disability. The AODA have given the government the authority to set penalties in the form of fines if you are not compliant. An organization which is guilty can be fined up to $100,000 per day and the director of a company or organization who are guilty can be fined up to $50,000 per day. So it could cost you or your company huge losses if you do not meet the standards set out by the AODA. According to the Royal Bank of Canada, people with disabilities spend an estimated $25 billion each year. If your business or organization isn’t AODA compliant you could be missing out on a lot of customers who would rather go somewhere that meets their needs. People will disabilities also represent a massive source of untapped employees and by making your company accessible to them, they are more likely to seek out work with your organization. AODA benefits everyone, not just those with disabilities, so becoming compliant is the smartest thing to do. The Accessibility for Ontarians with Disabilities Act (AODA) aims to remove any boundaries or restrictions faced by those with a disability, with the goal to make Ontario accessible to all by the year 2025.